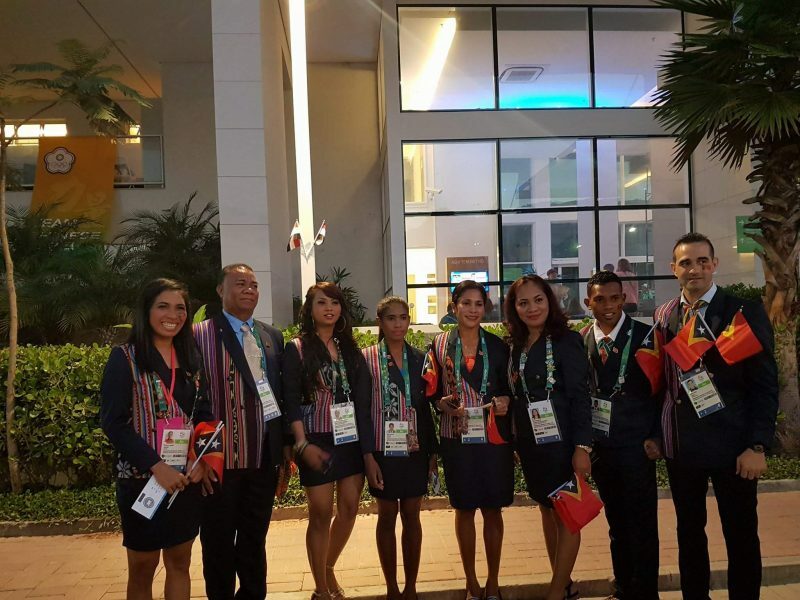 Timor Leste didn't win a medal in the 2016 Olympics in Rio de Janeiro but its athletes still managed to share an inspiring message with their supporters and fellow Timorese. 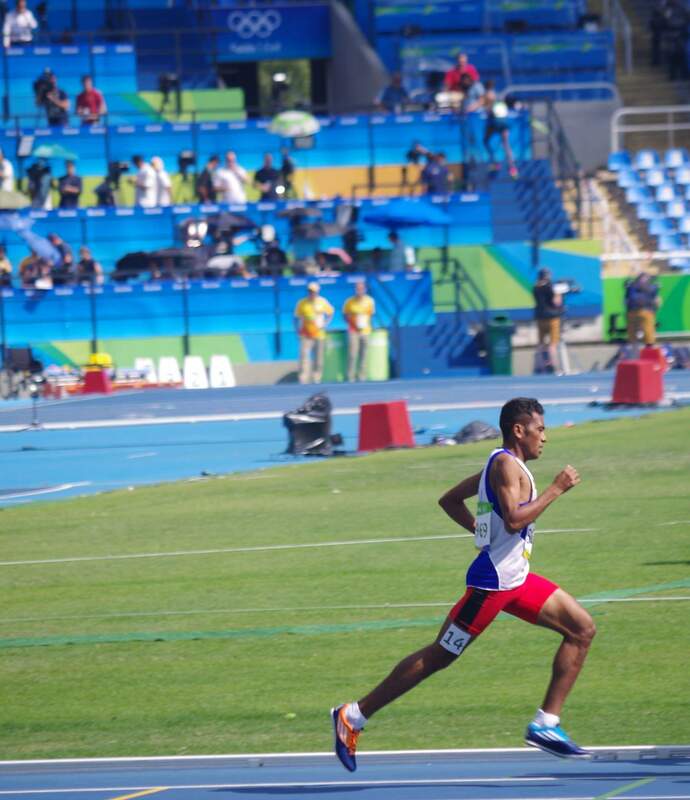 Timor-Leste participated in female and male athletics, as well as women's cross country mountain bike. After gaining independence from Indonesia in 2002, Timor Leste, a country of less than 1.5 million people, first joined the Olympics in 2004. Nelia Martins, an 18-year old athlete, was the youngest delegate of Timor-Leste in Rio de Janeiro. In 2014 she competed and placed fourth in the women's athletics 5000m Lusophony Games in India. In 2015 Nelia competed in the 2015 Southeast Asian Games in Singapore. This year in Rio de Janeiro, she placed 13th in the Round I Heat III course of Women's Athletics 1500m. Hau Sente kontente wainhra hau evento boot iha brasil primeira vez tuir olimpiade iha Rio De Janeiro (…) hau nudar atleta hau Sente kontenti wainhra hau representa hw nia Bandeira RDTL representa hau povu TIMOR LESTE no mos hau nia federation hau Sente kontenti wainhra ho idade 18 anos bele represents hau nia Bandeira Timor leste ba mundo tomak. Hau liafuan mk dt. Obrigada Timor! 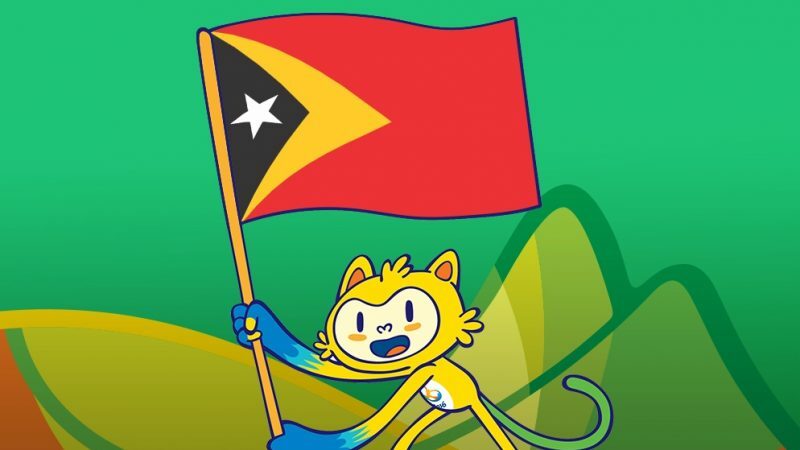 I feel happy to be here in Brazil for the first time to compete at the Olympics in Rio de Janeiro (…) as an athlete I'm also honored to represent my flag RDTL “Republic Democratic of Timor-Leste”, represent the Timorese people and my federation. I really feel happy because even though I'm only 18-years-old, I can represent the country's flag in the Olympics. This is all i have to say. Thank You Timor! Augusto Soares was the most senior athlete from Timor's Olympic delegation. In 2007 he competed in the 3000m Asian Indoor Games in Macau. In 2009 he joined the marathon competition in the Southeast Asian Games in Vientiane, Laos. In 2010 he was part of the Dili Half Marathon East Timor. And in 2011 he competed in the 5000m Asian Championships in Kobe, Japan. Competing this year in Rio de Janeiro in the Men's Athletics 1500m, Round I Heat II course, Augusto finished in the 12th position. Primeiro hw hkrak fo obrigado ba maromk tan buat kmanek tomak mai husi Nia…No Mos ba Familia Treinador nebe uluk hnorin no htudu dalan ida ne mai hau sr Aguida Amaral no mos ba treinador no kolega sra hotu. Ami orgulho tamba ble Lori nasaun no Bandeira RDTL mai participa ih jogos olympico Rio de Janeiro ba dala xxI liu husi evento ne Maske ami la manan buat ruma. Francelina Cabral, is the first Timorese woman to compete in the cross country mountain bike Olympic sports event. She is a professional woman cyclist who has competed in several circuits in East Timor since 2009. Ema sira nebe tuir kompetisaun iha evetu ne'e laos ema baibain, maibe ema professional, nebe sira nia serviso mak loroloron ne'e, sira, treinu, han, descansa no treino (…) Hau Mos bele hatene katak afinal Cross Country Agora ne'e, iha Mundo Moderno, ema extreme liu tan. The athletes that competed in the game are professional, this is what they do, they practice, they eat, rest and practice again (…) I've also learned that after all, cross country mountain biking is far more extreme. Cabral ended the conversation by saying that she feels honoured to represent her country for the first time in the Olympics. 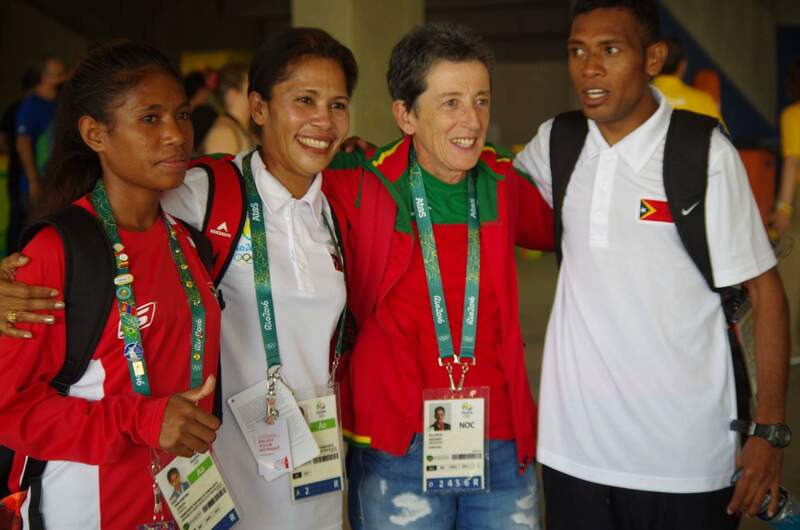 Even though she wasn't able to bring home a medal, she offered Timor-Leste a symbolic medal of honor. 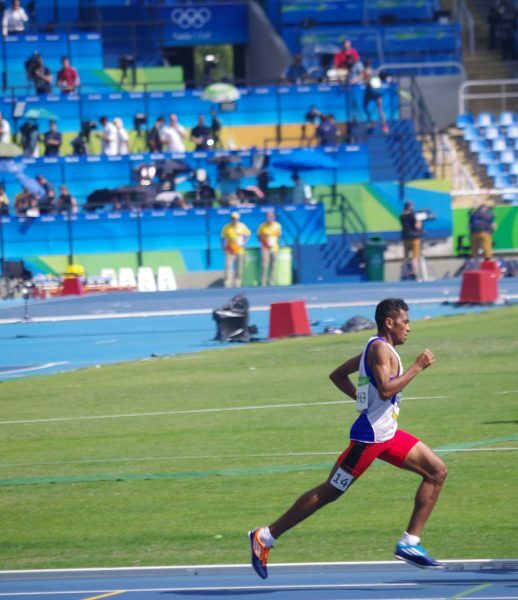 Timor-Leste is also be competing in the Paralympics Games. It will be represented by both male and female athletes in the 400m athletic competition. The Portuguese athlete is only Rosa Mota, the first sportswoman from Portugal to win Olympic gold and one of the country’s foremost athletes. She is considered an Ambassador of Sport. It is not just “a” Portuguese athlete. To the writer, miss Dalia Kiakilir, the indiference to acknowledge Rosa Mota is not just an omission it stands as a gross journalistic error.